Amaravati symbolizes an eternal city of bliss, encrusted with dazzling jewels and replete with fragrant flowers and magnificent trees. 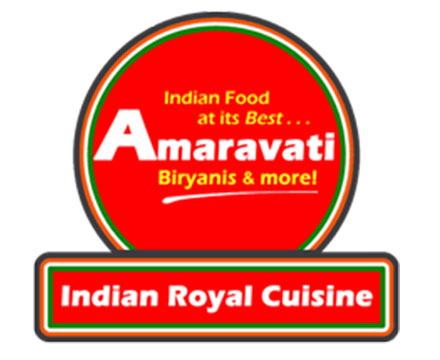 With this eternal city as our inspiration, Amaravati Indian Royal Cuisine seeks to bring to Central Illinois a fine-dining experience fit for royalty. Founded by four friends with a passion for all things culinary, Amaravati brings to you an elegant and exquisite culinary experience. 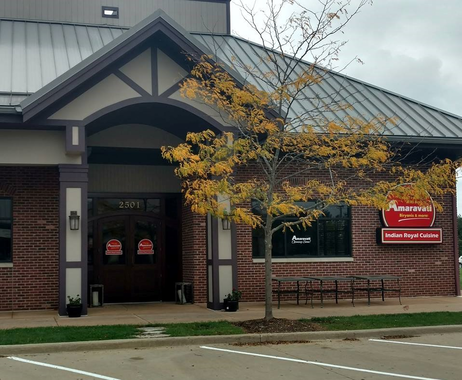 With full service dine-in, take out, and catering options, the wonders of authentic Indian cuisine are waiting to be explored at Amaravati, right here in Bloomington-Normal. Our highly trained and experienced chefs balance traditional ingredients and recipes with an imaginative, contemporary take on Indian cuisine. Our courteous staff is trained to answer questions and provide recommendations. 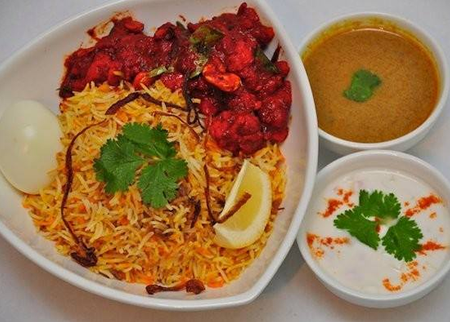 Our menu comprises of perennial classics such as biryani, chicken tikka masala, naan, and fragrant curries but also modern twists in the tale by way of a few Indo-Chinese delicacies No matter what you choose, you can trust that your food will be cooked to perfection and that it adheres to the highest standards of quality, taste, and hygiene. At Amaravati, we pride ourselves on our vibrant dining experience, our culinary excellence, and our standards of customer service. Our inviting ambience and contemporary décor will amplify your dining experience. As our guest, we want to you to witness first-hand the rich aromas and exquisite tastes that farm-fresh ingredients, combined with legendary Indian spices can bring straight to your table. So come today and try our carefully curated menu of appetizers, entrees and desserts from all over the Indian subcontinent. With dozens of delicacies for our vegetarian guests as well as for all the resolute carnivores in town, we have something for everyone! 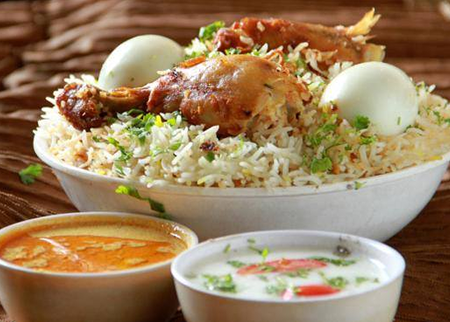 So come on over and enjoy an unforgettable, exotic journey into culinary bliss. Amaravati awaits your arrival.